Born: 27 June 1955, Bavaria. Filmography: Le petit bougnat 69. Faustine 71. L'école des femmes [TV] 72. La gifle (The Slap) 74. L'histoire d'Adèle H (The Story of Adèle H) 75. Violette et François 76. Le locataire (The Tenant) 76. Barocco 76. The Driver 78. Les soeurs Bronte 79. Nosferatu the Vampyre 79. Clara et les chics types 80. Tout feu, tout flamme (All Fired Up) 81. Quartet 81. Possession 81. L'année prochaine...si tout va bien (Next Year If All Goes Well) 81. Mortelle randonnée (Deadly Circuit) 82. Antonieta 82. L'été meurtrier (One Deadly Summer) 83. Subway 85. Ishtar 87. Camille Claudel 88. Lung Ta: Les cavaliers du vent 90. Toxic Affair 93. La reine Margot 94. Diabolique 96. 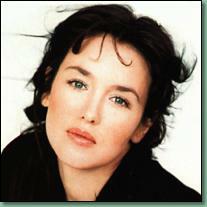 Isabelle Yasmine Adjani was born in Bavaria to an Algerian father and a German mother. The family moved to Paris in her early school years, and Isabelle began appearing in amateur productions, eventually leading to a film rôle ("Le petit bougnat") when she was fourteen. Other film, stage and TV appearances followed. At 19, she signed a 20-year contract with the Comédie Française (the French national theatre), but chose to opt out in order to pursue a film career. Her first great success was in François Truffaut's "L'histoire d'Adèle H", for which she received an Oscar nomination. She was nominated again in 1989 for her rôle in "Camille Claudel". At the Césars in the same year, she caused controversy by reading passages from Salman Rushdie's "The Satanic Verses" during her acceptance speech for Best Actress. Isabelle has also aroused political enmity by her support of Algerian rebels and her outspoken opposition to the anti-immigration rhetoric of the French National Front. In 1986 she was the victim of a smear campaign which led to rumours in the press and on TV that she was dying of AIDS. When some newspapers announced a few days later that she had in fact died, she went on TV herself to prove otherwise. Her love life is the subject of intense speculation in the French tabloids (much to her annoyance). She had an affair with Warren Beatty during the making of "Ishtar", and has two children: 16-year-old Barnabé, by director Bruno Nuytten, and Gabriel-Kane (born 9th April 1995), from an "on-off" relationship with British actor Daniel Day-Lewis. She denies the much-publicised rumour that they broke up by fax: "I never received a fax that said, "This is over." Shortly after I got pregnant I saw him and then he wasn't there anymore." Isabelle has a home in Beverley Hills, California that she's been renting since January. Her next movie was to be "The Double", a $60 million adaption of a tale by Dostoevsky, directed in Paris by Roman Polanski. Production ran into difficulties following a dispute between Polanski and the male lead, John Travolta, who walked out of the film at the end of May. Isabelle withdrew from the movie a few weeks later. The movie will now be directed in America next summer by Lili Fini Zanuck, with Travolta back on board - but without Adjani. A translation of an interview in Paris Match, December 1994. Isabelle talks about the cuts to "La reine Margot" required for the American market, her feelings about being passed over for an award at Cannes, her concerns about Algeria, and her stormy relationship with the press. Isabelle Adjani c/o Artmédia, 10 avenue George-V 75008 Paris. Isabelle's entry in the Internet Movie Database. An interview with Isabelle that appeared in Premiere magazine. France Cinéma Multimédia's Diabolique pages (requires a frames-compatible browser). 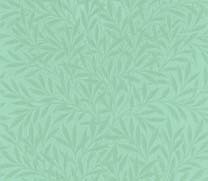 Le Scarabée is a French e-zine with links to pages about French actresses. Isabelle singing "Pull Marine" by Serge Gainsbourg. You can also read the lyrics, with another picture from the video. André Rau: main photo, adjanitv.jpg. All scans, audio and video capture by Poppy for Belles de Jour. Return to the index of Belles de Jour.